Here are eight reasons – eight being an auspicious number in China – why the world should pay attention to what happens in the secretive corridors of Beijing’s Great Hall of the People. It is now 35 years since former leader Deng Xiaoping’s catchy slogan signalled China’s opening to the world and ushered in one of the biggest economic success stories in human history. Its economy has gone from being rather smaller than Italy’s to the world’s second largest, and is now home to one million US$ millionaires. By the time the new generation of leaders hands over power to the next in 2022, China could be challenging the US for top spot. Growth should help create the world’s biggest middle class, eager to enjoy creature comforts like cars and air conditioning, whatever the environmental cost. China has been growing so fast it has scarcely stopped to consider the environmental cost. The results are sobering. Rapid industrialisation and a building boom saw China overtake the US as the world’s biggest emitter of greenhouse gases in 2007. Seven of the world’s most polluted cities are in China. Each year it causes 500,000 to 750,000 premature deaths. The damage is not just inside China. Airborne pollution including mercury and lead is carried across borders into neighbouring countries, and across the Pacific where it falls on the US West Coast. China’s leaders do now appear determined to clean up the worst excesses, but the scale of the task is daunting. “If you look at the size of the economy and its population, these two factors alone show how complex it’s going to be,” says Edgar Cua of the Asian Development Bank. It means China will be central to any future agreements on climate change. It has refused to limit its greenhouse gas emissions, preferring to cut “carbon intensity” – the carbon released per unit of economic output – by 40-45% by 2020. But with the economy growing so fast, and China relying on coal for up to 70% of its energy needs, greenhouse gas emissions will still rise by 60% from their present level, even if the carbon intensity target is met. China has long fascinated the West, but its emergence as an economic power has seen a new burgeoning of interest in its culture and language. Thirty years ago, only its inscrutable leaders were recognised in the West. Now people like actress Zhang Ziyi, basketball player Yao Ming and artist Zhang Xiaogang are global figures. Meanwhile schools across Europe and the US are offering Mandarin classes to children as young as six, and during the Olympics, Chinese script could be seen on adverts on some London buses. China’s government has sought to capture the zeitgeist, helping set up several hundred Confucius Institutes around the world whose overt goal is teaching Chinese, but which also project soft power. The number of Mandarin speakers is set to grow strongly, especially in Asia, but is it really able to challenge English as a global language? Not any time soon, most experts argue, pointing to its infuriating tones and a script which takes years to master. China adopted the phrase “peaceful rise” to try and assure nervous neighbours that its new-found economic clout would not turn it into a bully. But territorial disputes with Japan, the Philippines and Vietnam – and simmering tensions with the US – sometimes give the words a hollow ring. 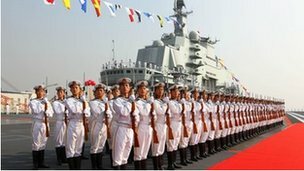 China’s People’s Liberation Army is the world’s largest, at three million strong, and its official budget is rising fast. Its first aircraft carrier has just gone into service and it is believed to be investing heavily in stealth technology, space warfare and cyber security. These are natural developments for a country of its size and influence, China argues, and do not signal it has changed tack. “Every country has to defend its security and territorial interests, but it doesn’t mean we have to become aggressive, that way you can alienate even your friends,” said Wu Jianmin, former ambassador to France. But the real question is how China’s new leaders pitch policy towards the US. They are younger and have more experience of the outside world, so can they set aside the entrenched suspicions among their rival militaries? History suggests the inevitable frictions between a superpower and its upstart challenger will lead to more tensions than detente. Next person on the moon to be Chinese? China’s Communist Party paints the century before it came to power in 1949 as one of humiliation by the West. So China’s successful space programme is lauded as proof their country has regained its international standing. But the huge cost is controversial given that 150m Chinese still live on $1 a day or less. 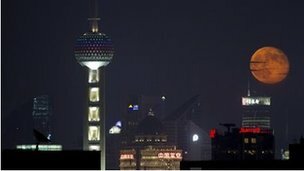 Having already sent an unmanned craft to orbit the moon, China has said it will send its first probe to land there in 2013. It has also spoken of preliminary plans to put humans on the moon, though no date has been set. If the mission goes ahead, TV pictures beamed into the world’s living rooms will also be flagging up China’s challenge to the world’s predominant space power, the US. Newly-wealthy Chinese are blamed for fuelling the poaching of endangered species for use as aphrodisiacs, ornaments or to put in their soup. Thousands of African elephants are killed each year for their ivory, which Chinese carvers prize, and China’s government has been criticised for not properly policing its ivory trade. The problem is that economic reforms which have lifted hundreds of millions of people out of poverty have also created voracious consumers. Pork consumption gives a good idea of the impact. China now consumes five times more pork than in 1979, and is now home to 460m pigs, half the world’s total. But feeding them is impossible given the shortage of land. So farmers have resorted to importing up to 60% of the world’s soyabean exports, pushing up prices for everyone else, and raising real fears over the industry’s environmental impact. 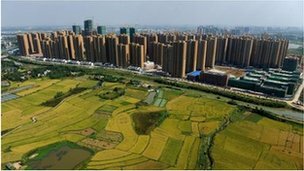 In future, the pressures are likely to intensify as China seeks to feed 21% of the world’s population with only 9% of its cultivated land. Some experts believe we will all have to get used to higher food prices, and to Chinese farmers buying up more and more overseas land. As recently as 1995, applying for a passport to leave China was a six-month endurance test of bureaucracy, and most applicants were officials. Now it can be done in a few days, and millions of Chinese are taking advantage of their government’s new openness to travel overseas as tourists or students. China’s tourists are now the world’s third biggest spenders, behind those from Germany and the US, and 70m Chinese travelled overseas in 2011, compared to 4.5m in 1995. Most stay close to home, in places like Hong Kong, Macau and Thailand. But increasing numbers are heading for the US or France, as well as less obvious destinations like Trier, the birthplace of Karl Marx. On Paris’ Baton Rouge river cruises, as the sights are picked out in one language after another, Mandarin now comes ahead of Japanese. Each year about 300,000 Chinese students are also heading abroad, especially to universities in the US and Australia. They want the kudos of a foreign education to get a better job when they return home. Some also see it as a way to dodge the exhausting entry test for China’s own universities. The wealth that has been created inside China has surged around the world. Chinese demand has caused spikes in prices for commodities like copper – needed to cable up rapidly growing cities and infrastructure. It has reinvigorated Europe’s luxury goods makers like Louis Vuitton and Hermes, whose products are de rigueur in China’s status-obsessed and gift-giving culture. And it is transforming prestige wine sales – China now buys more Bordeaux than Germany. Perhaps the most spectacular impact, some would call it a bubble, is on Chinese art. 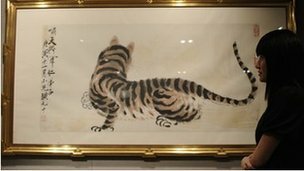 Three of the 10 most expensive paintings sold in 2011 were by Chinese artists, including the most expensive, a $57.2m work by Qi Baishi. The next phase is likely to see China’s industrial giants starting to look overseas for new markets and new expertise. That will be controversial because most of them are controlled by the Communist Party. In areas like telecommunications and energy, they could threaten trade rows with the West.